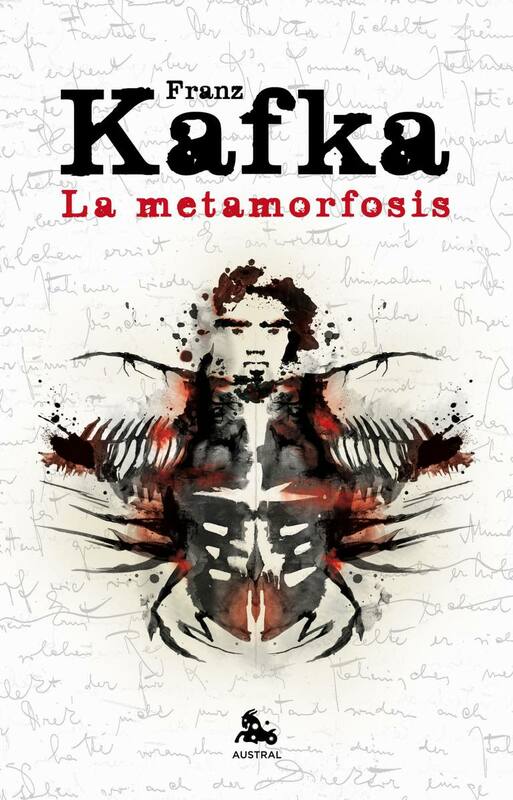 Franz Kafka’s well-known story “The Metamorphosis” begins with a description of a disturbing situation: “As Gregor Samsa awoke one morning from uneasy dreams he found himself transformed in his bed into a gigantic insect” (89). However, Gregor himself seems most disturbed by the possibility of missing the train to work and losing his job as a traveling salesman. Without asking for aid or alerting his family to his new form, he attempts to maneuver his unwieldy insect body—which has several tiny legs and a broad, hard back—out of bed. Soon, however, the chief clerk from Gregor’s company arrives at the apartment. Gregor is determined “to show himself and speak to the chief clerk; he was eager to find out what the others, after all their insistence, would say at the sight of him” (98). When Gregor finally opens his door and appears, everyone in the Samsas’ apartment is horrified; Gregor’s mother cries for help, the chief clerk flees the premises, and Gregor’s father, “hissing and crying ‘Shoo!’ like a savage,” mercilessly drives Gregor back into his bedroom (103-104). Back in his room, Gregor reflects on the fine life he had once provided for his family and wonders “if all the quiet, the comfort, the contentment were now to end in horror” (106). Soon enough, Gregor’s parents and sister start adapting to a life without Gregor’s earnings, and Gregor adapts to his new insectoid form. He develops a taste for rotten food and forms a new hobby—scurrying all over the walls in his room. He also feels grateful for the caring attention of his sister, Grete, who “tried to make as light as possible of whatever was disagreeable in her task, and as time went on she succeeded, of course, more and more” (113). But when Grete forms a plan to remove Gregor’s bedroom furniture and give him “as wide a field as possible to crawl in,” Gregor, determined to hold on to at least a few reminders of his human form, opposes her (115). He rushes out of his usual hiding place, sends his mother into a fainting fit, and sends Grete running for help. In the midst of this chaos, Gregor’s father arrives home from work and bombards Gregor “with fruit from the dish on the sideboard,” convinced that Gregor is a danger to the family (122). This attack on Gregor makes “even his father recollect that Gregor was a member of the family, despite his present unfortunate and repulsive shape” (122). Over time, the Samsas become resigned to Gregor’s condition and take measures to provide for themselves. The servants are dismissed, Grete and her mother find jobs of their own, and three lodgers—“serious gentlemen” with “a passion for order”—come to stay in one of the Samsas’ rooms (127). Gregor himself has stopped eating, and his room is becoming dirty and crowded with unused objects. But one night, Gregor hears his sister playing the violin. He emerges from his room, feeling as if “the way were opening before him to the unknown nourishment he craved” (130-131). After seeing Gregor, the lodgers react angrily to the “disgusting conditions” in the Samsa household, while the anguished Grete declares that the Samsas must, despite their past efforts at accommodation, finally get rid of Gregor (132-133). After this latest conflict, Gregor retreats to the darkness of his room. He feels “relatively comfortable.” In the early morning, his head sinks “to the floor of its own accord and from his nostrils came the last faint flicker of his breath” (135). The dead Gregor is quickly removed from the premises. And with Gregor’s death, the rest of the family is reinvigorated. Gregor’s father confronts the three lodgers and forces them to leave, then takes Grete and Mrs. Samsa on an excursion “into the open country outside the town” (139). The two elder Samsas are now confident that Grete will find a “good husband, and watch hopefully and optimistically as “at the end of their journey their daughter sprang to her feet first and stretched her young body” (139). Kafka’s Own Professions: Like Gregor Samsa, Kafka himself was caught up in the world of money, commerce, and day-to-day bureaucracy. Kafka wrote “The Metamorphosis” in 1912, at a time when he was employed by the Workers’ Accident Insurance Company of the Kingdom of Bohemia. But even though Kafka remained at the Company until a few years before his death, he viewed another kind of activity—his writing—as his most important and most challenging life’s work. 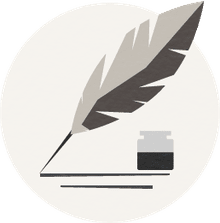 As he wrote in a 1910 letter, highlighting the daily difficulties that devotion to writing can bring: “When I wanted to get out of bed this morning I simply folded up. This has a very simple cause, that I am completely overworked. Not by my office but by my other work.” While Gregor gradually forgets his professional habits and discovers the power of art as “The Metamorphosis” progresses, Kafka was firmly convinced for much of his adult life that art was his true calling. To quote another Kafka letter, this time from 1913: “My job is unbearable to me because it conflicts with my only desire and my only calling, which is literature. Modernism Art and the Modern City: “The Metamorphosis” is but one of many early 20th-century works that depicts city life. Yet metropolitan commerce, technology, and living conditions evoked very different reactions from the various writers and artists of the modernist era. Some of this period’s painters and sculptors—including the Italian Futurists and the Russian Constructivists—celebrated the dynamic, revolutionary potential of city architecture and transportation systems. And several important novelists—James Joyce, Virginia Woolf, Andrei Bely, Marcel Proust—contrasted urban transformation and upheaval with calmer, though not necessarily better, past lifestyles. On the basis of bleak urban narratives such as “The Metamorphosis”, “The Judgment”, and The Trial, Kafka’s own stance toward the modern city is often understood as a position of extreme criticism and pessimism. For a story set in a modern city, “The Metamorphosis” can feel remarkably closed-in and uncomfortable; until the final pages, the whole of the action takes place in the Samsas’ apartment. Envisioning and Illustrating “The Metamorphosis”: Even though Kafka describes certain aspects of Gregor’s new, insect body in great detail, Kafka opposed efforts to draw, illustrate, or represent Gregor’s full shape. When “The Metamorphosis” was published in 1915, Kafka cautioned his editors that “the insect itself cannot be drawn. It cannot be drawn even as if seen from a distance.” Kafka may have given these directions in order to keep certain aspects of the text mysterious, or to allow readers to imagine Gregor’s precise shape on their own; nonetheless, future readers, critics, and artists would attempt to pin down Gregor’s exact appearance. Early commentators envisioned Gregor as an overgrown cockroach, yet novelist and insect specialist Vladimir Nabokov disagreed: “A cockroach is an insect that is flat in shape with large legs, and Gregor is anything but flat: he is convex on both sides, belly and back, and his legs are small. He approaches a cockroach in only one respect: his coloration is brown.” Instead, Nabokov hypothesized that Gregor is much closer to a beetle in shape and form. Direct visual representations of Gregor have in fact appeared in the graphic novel versions of “The Metamorphosis” created by Peter Kuper and R. Crumb. Gregor’s Sense of Identity: Despite his disturbing physical transformation, Gregor holds on to many of the thoughts, emotions, and desires that he exhibited in his human form. At first, he is incapable of understanding the extent of his transformation and believes that he is only “temporarily incapacitated” (101). Later, Gregor realizes that he is a horror to his family adopts new habits—eating putrid food, climbing all over the walls. But he is unwilling to give up mementos of his human state, such as the furniture that remains in his bedroom: “Nothing should be taken out of his room; everything must stay as it was; he could not dispense with the good influence of the furniture on his state of mind; and even if the furniture did hamper him in his senseless crawling around and around, that was no drawback but a great advantage” (117). Even towards the end of “The Metamorphosis”, Gregor is convinced that elements of his human identity have remained intact. His thoughts turn to his inner human traits—affection, inspiration—as he hears Grete’s violin playing: “Was he an animal, that music had such an effect on him? He felt as if the way were opening before him to the unknown nourishment he craved. He was determined to push forward until he reached his sister, to pull at her skirt and let her know that she was to come into his room, with her violin, for no one here appreciated her playing as he would appreciate it” (131). By turning into an insect, Gregor displays deeply human traits such as artistic appreciation—traits that were uncommon to him in his over-worked, business-oriented human state. Multiple Transformations: Gregor’s stark change of shape is not major change in “The Metamorphosis”. Because of Gregor’s new tradition and its negative effects on his family, the Samsas’ apartments undergo a series of alterations. Early on, Grete and her mother attempt to remove all of Gregor’s bedroom furniture. Then, new characters are brought into the Samsas’ property: first a new housekeeper, an “old widow, whose strong bony frame had enabled her to survive the worst a long life could offer;” then the three lodgers, picky men “with full beards” (126-127). The Samsas even transform Gregor’s room into a storage space for “superfluous, not to say dirty, objects” in order to make the lodgers comfortable (127). Gregor’s parents and sister change considerably as well. Initially, the three of them live in comfort thanks to Gregor’s earnings. Yet after the transformation, they are forced to take jobs—and Mr. Samsa transforms from a “man who used to lie wearily sunk in bed” into a bank messenger “dressed in a smart blue uniform with gold buttons” (121). Gregor’s death, however, sparks a new series of transformations in the Samsas’ ways of thinking. With Gregor gone, Grete and her parents are convinced that their jobs are “all three admirable and likely to lead to better things later on.” And they decide to find new living quarters, too—“a smaller and cheaper but also better situated and more easily run apartment than the one they had, which Gregor had selected” (139). 1) Do you understand “The Metamorphosis” as a work that confronts political or social issues? Is Kafka using Gregor’s strange story to discuss (or attack) issues such as capitalism, traditional family life, or the place of art in society? Or is “The Metamorphosis” a story with few or no political or social concerns? 2) Consider the issue of illustrating “The Metamorphosis”. Do you think that Kafka’s reluctance to show exactly what the transformed Gregor looks like was justified? Despite Kafka’s reservations, did you have a strong mental image of Gregor? Could you, perhaps, draw his insectoid body? 3) Which character in Kafka’s story is most deserving of pity and sympathy—the hideously transformed Gregor, his persevering sister Grete, the rather helpless Mrs. Samsa, or someone else? Did you find yourself siding with different characters—for example, liking Grete more and Gregor less—as the story moved forward? 4) Who changes the most in the course of “The Metamorphosis”? Gregor is an obvious choice because of his new shape, but you should also think about the changes in the characters’ emotions, desires, and living situations. Which character undergoes the strongest shift in values or personality as the story progresses? All in-text page citations refer to the following edition of Kafka's works: The Complete Stories, Centennial Edition with a New Foreword by John Updike (“The Metamorphosis” translated by Willa and Edwin Muir. Schocken: 1983). Kafka and Capitalism in "Metamorphosis"